RUE VAVIN STRETCHES from the Boulevard du Montparnasse to Rue d’Assas in the 6th arrondissement. 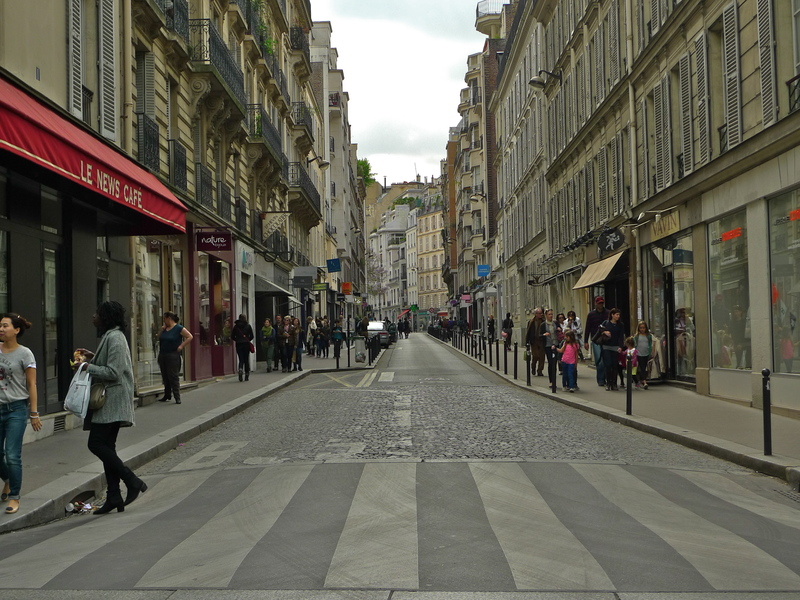 The street is 375 metres long and 12 metres wide at its widest point and two streets, the Boulevard Raspail and Rue Notre-Dame-des-Champs, intersect it. 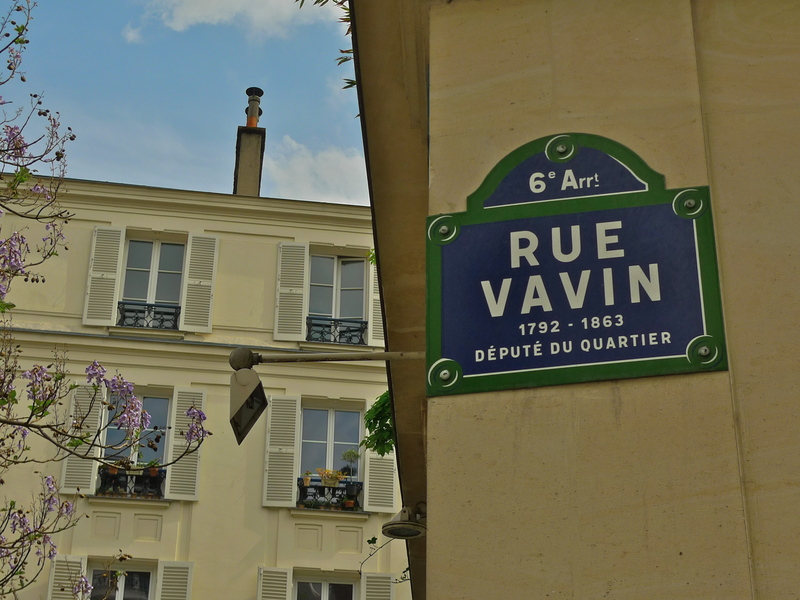 Rue Vavin is named after Alexis Vavin (1792-1863), a French politician who, amongst other things, opposed the coup of Napoleon III. 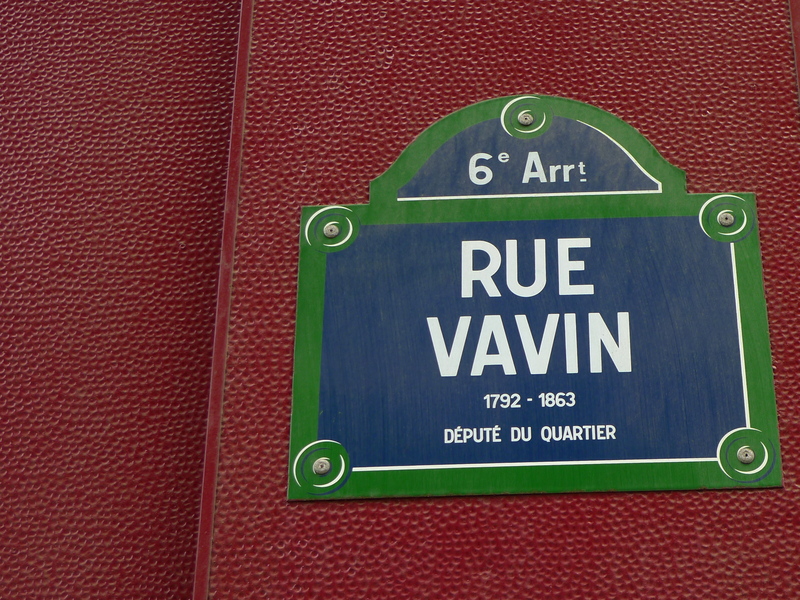 As well as the Rue Vavin, the Avenue Vavin (now a short cul-de-sac) and the Métro station Vavin are also named after him. The other day I decided to explore the Rue Vavin, to search out the places of historical interest and to do a soundwalk. I began at the Rue d’Assas outside one of the entrances to the Jardin du Luxembourg and I walked along the street to the Boulevard du Montparnasse at the other end. The first building to catch my eye was N° 12. 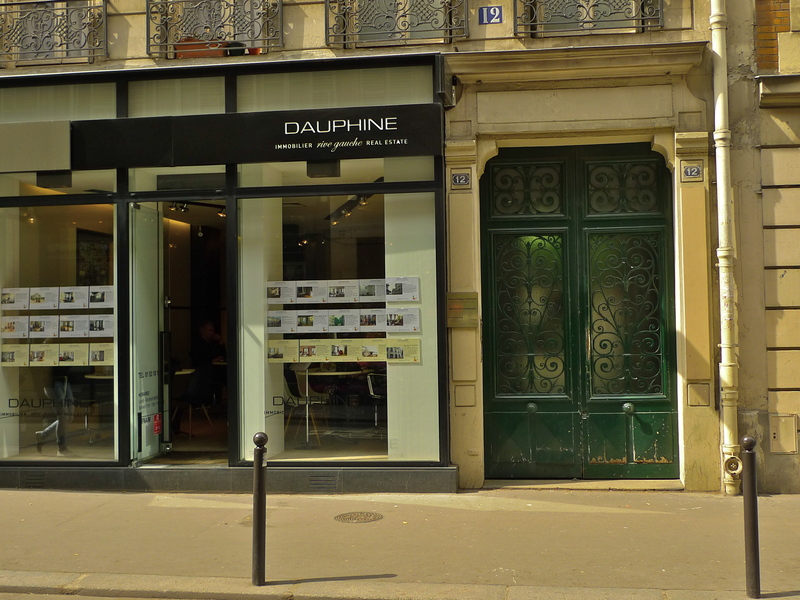 For over eighty years this was home to the French publishing house founded in 1901 by the orientalist Paul Geuthner. He specialised in Oriental studies and published essays, texts, language textbooks and travelogues on the Near, Middle and Far East. Paul Geuthner died in 1949 but the business continued and although no longer here at N° 12 rue Vavin (it’s now moved to 16 rue de la Grande Chaumière close by), and despite a change of ownership, the Société Nouvelle Librairie Orientalist Paul Geuthner is still very much alive and well. Moving on towards the next building I wanted to see I paused to look at two things at the heart of rue Vavin, both of which are emblematic of Paris – a kiosquier selling his newspapers and a Wallace fountain. 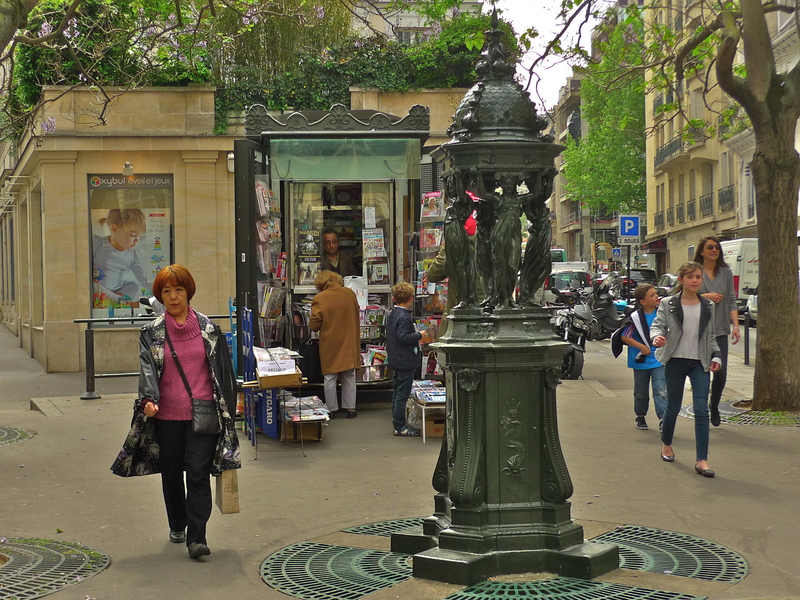 The Parisian newspaper kiosk has been around for a 150 years. Today there are about 350 of them in Paris and they account for almost half of all daily newspaper and magazine sales. And, like the Parisian newspaper kiosk, the Wallace fountain is another piece of iconic Parisian street furniture. Named after the English philanthropist, Richard Wallace, who lived in Paris and financed their construction, these fountains were designed by the French sculptor, Charles-Auguste Lebourg. Although originally intended as a source of free, potable water for the poor and also as encouragement to avoid the temptation to turn to strong liquor, everyone uses these fountains today. For the homeless of course, they are often their only source of free drinking water. The fountains operate from 15th March to 15th November (the risk of freezing during the winter months would imperil the internal plumbing) and they are regularly maintained and repainted every two years. And while the Wallace fountain in rue Vavin might be one kind of watering hole, on the other side of the street there’s another, the Café Vavin. Further along the street is N° 19. This building was once home to the École normale d’enseignement du dessin, a school of drawing founded in 1881 by the architect, Alphonse Théodore Guérin. The only private art school in Paris at the time, it was staffed by volunteer teachers and its students paid no fees. The teaching was based on a mixture of workshops and academic classes in decorative composition, perspective, the history of art and anatomy. If you’ve seen the film Last Tango in Paris you may recognise the next building I stopped to look at. 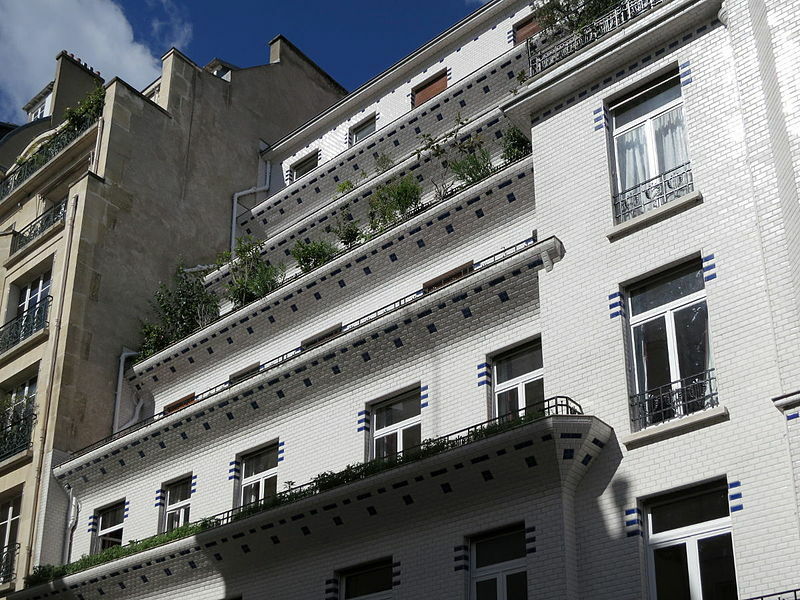 N° 26 rue Vavin was the creation of the French architects Frédéric-Henri Sauvage and Charles Sarazin. In 1903, Sauvage and Sarazin formed the Société anonyme de logements hygiéniques à bon marché, a company whose purpose was to construct good quality, affordable housing for the poorest in society. 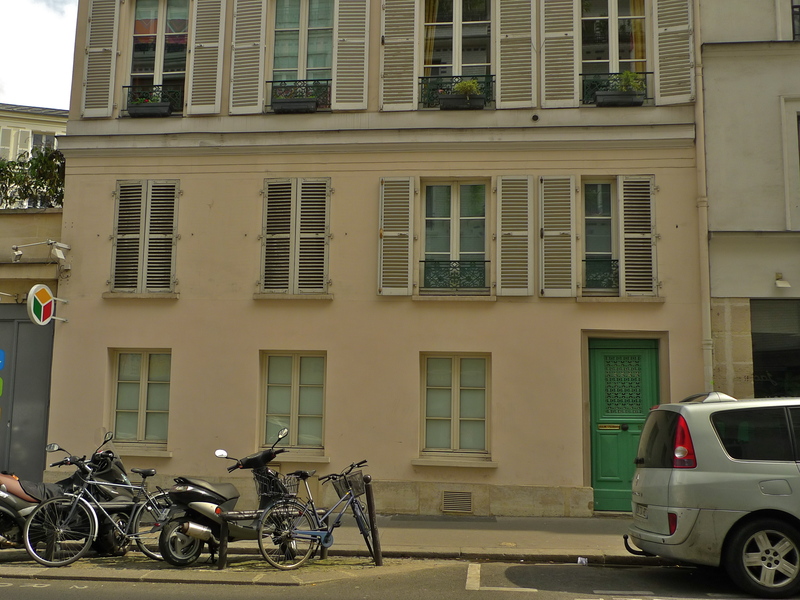 Built in 1912 as an HBM (Habitation à Bon Marché), N° 26 rue Vavin is a good example of what Sauvage and Sarazin sought to achieve. 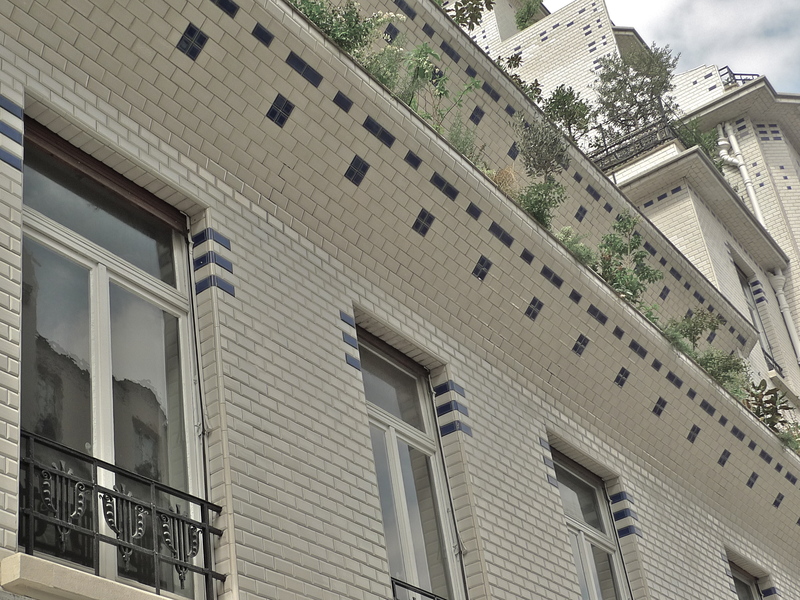 Designed on the hygienist principles of providing accommodation with plenty of light and air the building has open terraces and is covered with white tiles similar to those found in the Paris Métro which self-clean when it rains. 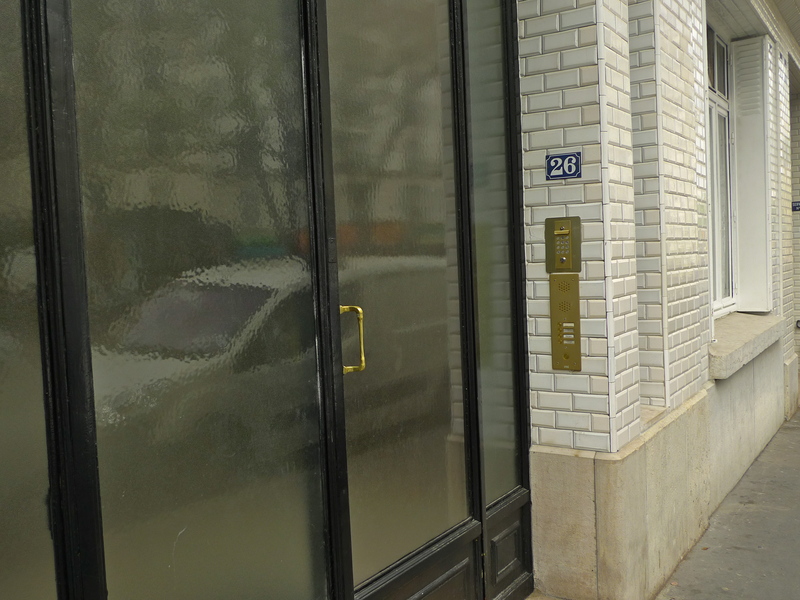 Unlike with most buildings in Paris, it is forbidden to attach nameplates to the walls of N° 26 partly for aesthetic reasons and partly to avoid damage to the tiles. Consequently, the main door of the building has a very clean and uncluttered look to it. 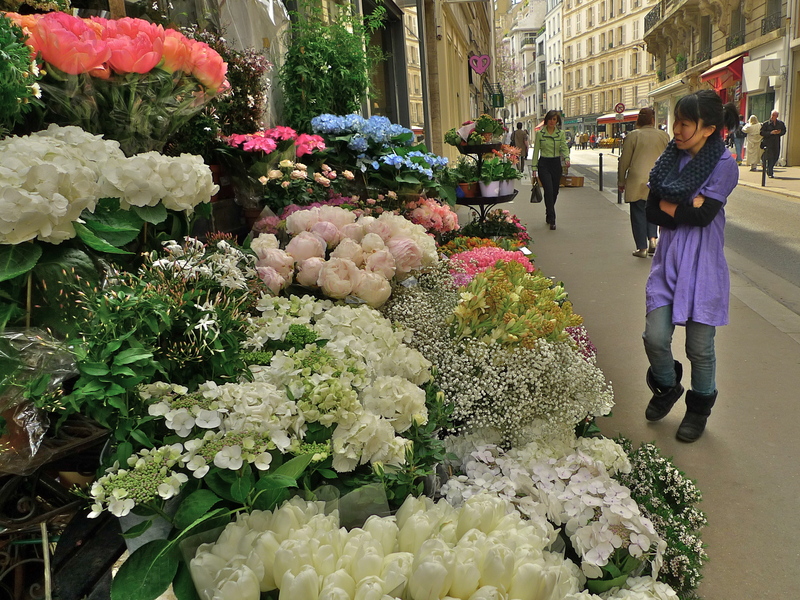 After pausing to look at a magnificent display of blooms at a flower shop I walked further up rue Vavin to the intersection with the Boulevard Raspail where I found N° 33. Between the two World Wars, N° 33 rue Vavin was home to the famous cabaret Le Bal de la Boule Blanche. It was here on the evening of 20th February 1931 that Georges Simenon hosted a ball to launch the first two books in the then new but now classic Inspector Maigret series – ‘Monsieur Gallet, décédé’ and ‘Le pendu de Saint-Pholien’. Crossing the Boulevard Raspail I wanted to find N° 38 rue Vavin, once the home of the French sculptor Frédéric Auguste Bartholdi who is perhaps best known for designing the Statue of Liberty. 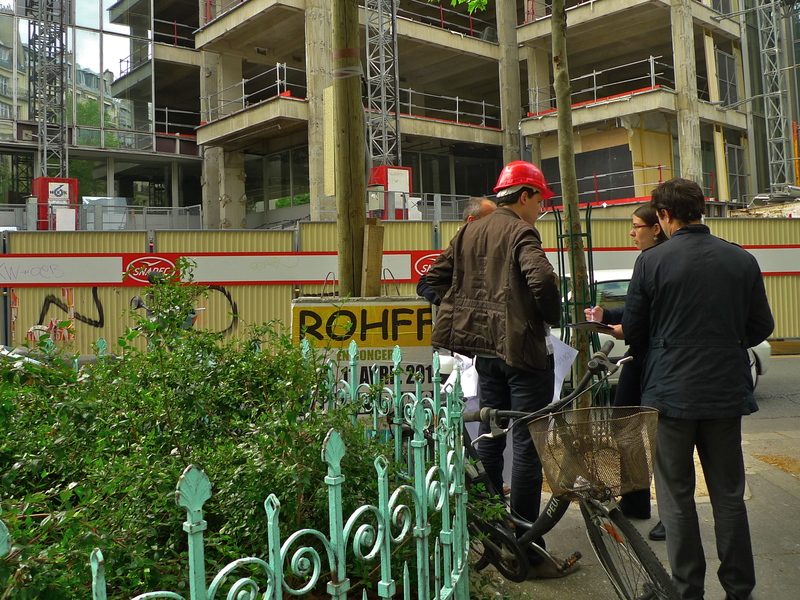 Instead, I found a building site with the inevitable site meeting taking place. 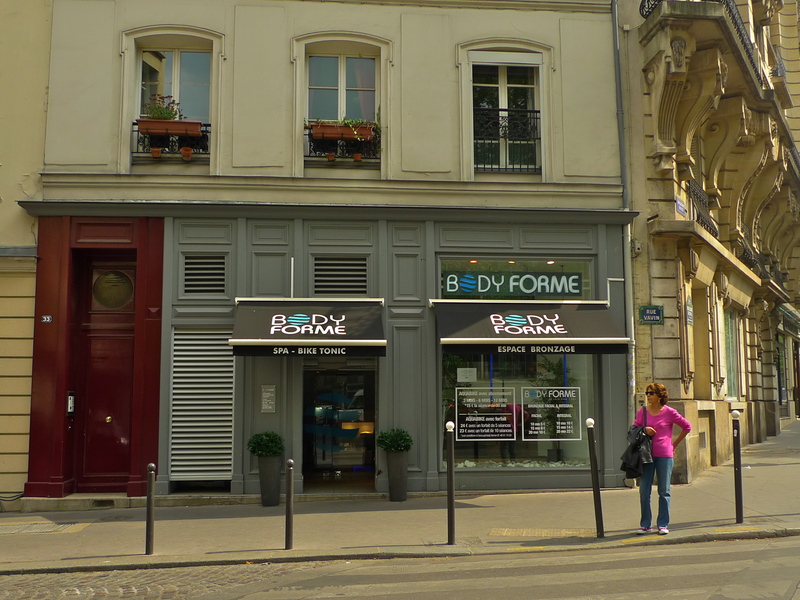 The last stop on my soundwalk along the rue Vavin was at N° 50. 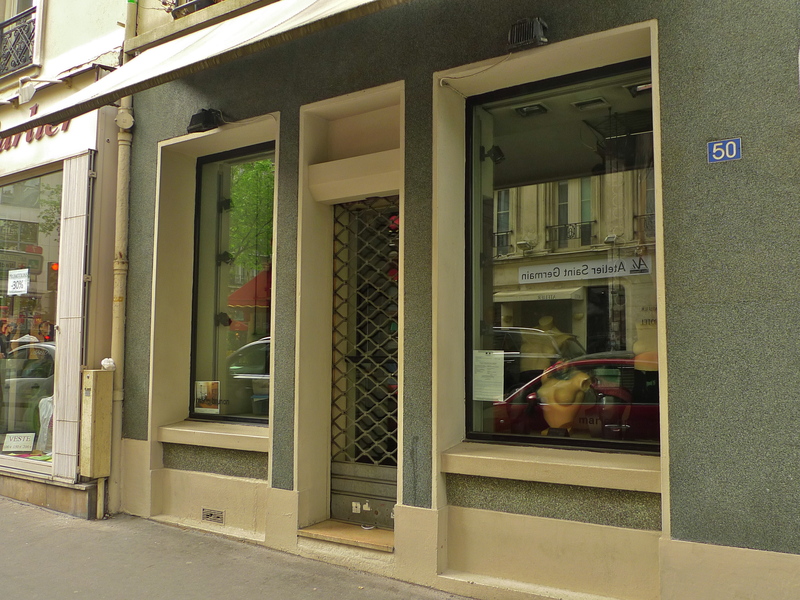 Today it’s just one of many boutiques along the street but in the second half of the 19th century this was the Maison Voignier, supplier of organ pipes to, amongst others, one of the world’s greatest organ builders, Aristide Cavaillé-Coll. 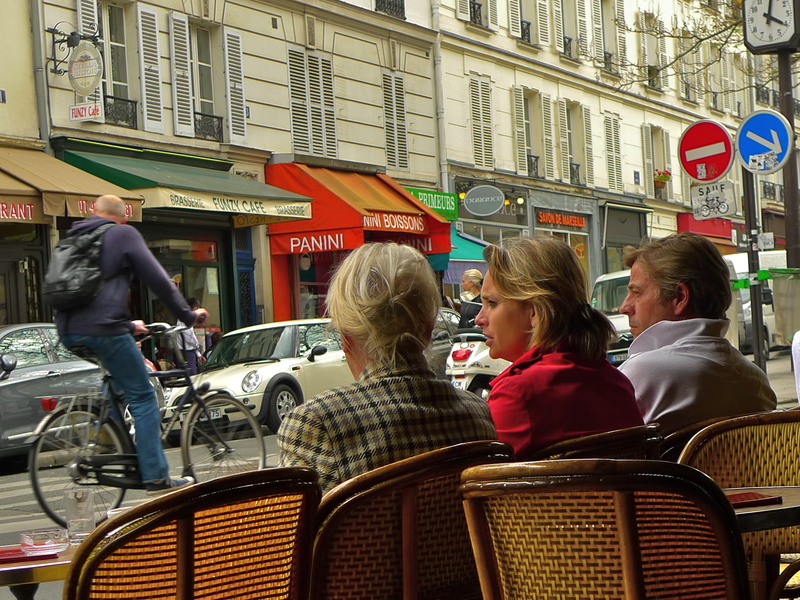 Rue Vavin is a fairly typical Parisian street. 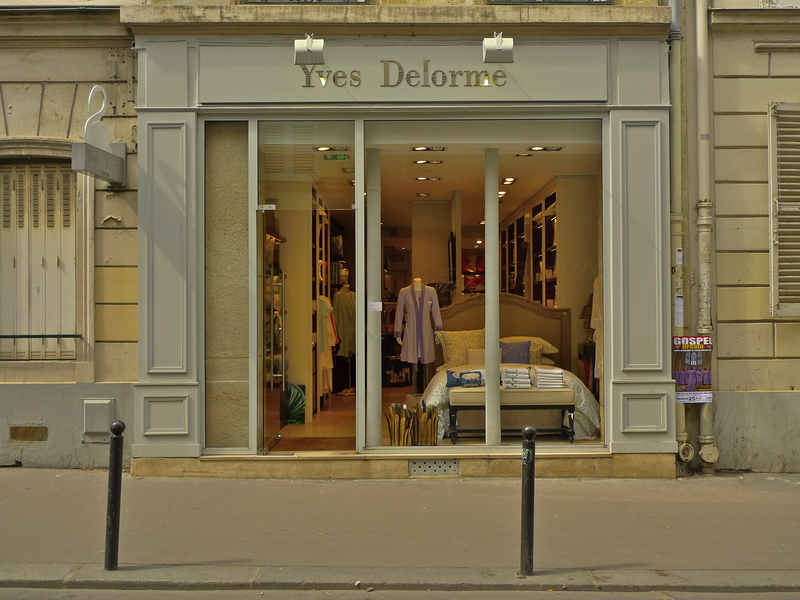 It’s home to some or a place of business for others, it’s also a thoroughfare from the Boulevard du Montparnasse to the Jardin du Luxembourg and it’s a magnet for shoppers. It has its own life, its own history and, of course, its own sounds all of which I think are worth exploring.